I Regret Recommending My Friend for the Job! A good friend of mine had been out of work for over six months. When a position came open in my company I recommended her for the job. I have been with my company for seven years so my opinion and recommendation are respected. I work hard and do my job well. Needless to say my friend was hired and I immediately regretted my recommendation. Although we have been friends for a long time, I never knew that she had such poor working habits. She is consistently late for work and has missed several deadlines. On top of that she spends quite a bit of time on personal calls and has called off work four times in less than two months. Now my boss is looking at me and wondering how I ever recommended her for a position with the company. I have tried talking to my friend about this and she promised that her work performance would improve, but it hasn’t. She doesn’t seem to understand that her performance is affecting my reputation. I know the next step for her is termination and I while I do not want to see her unemployed again, I do not want my friend’s behavior to further affect my reputation and future with the company. I certainly do not fault you for wanting to help a friend. That is what friends do. But it is a very risky thing to put your name, reputation, relationships, and job on the line for someone else, even if that person is a family member or friend. It’s especially risky when you have no idea about a person’s skills, abilities, and work ethic. Just because someone is a good friend, does not mean they will make a good employee or coworker. Many times we think we know someone, only to find out that there are parts of their lives that we know nothing about. For instance, have you ever witnessed your friend in a working environment? Do you really know why your friend was let go from her previous job? Many times we vouch for people and make recommendations based upon our personal relationship and not specific skills and qualifications. It is common for companies to hire employees based on personal recommendations and relationships. We often hear that when it comes to business it’s not “what” you know, but “who” you know. So relationships and recommendations are important. But it can backfire if the working situation does not work out and/if people do not live up to the recommendation. Although your boss may not consider your future recommendations, you seem to have a great personal track record regarding your own work performance and history. I doubt that this will affect your future with the company, but I am sure you will think twice before recommending someone else. And I must say, I am disappointed in your friend and others who squander opportunities they gain through their personal relationships. They seem to have little regard for how their performance or nonperformance can affect the person putting their reputation on the line. Author of the upcoming book Been There Done That: And Lived to Tell About It (due out Spring 2011), Tamara R. Allen is Your Advice Guru giving REAL advice from REAL experience. Email your questions to asktamara@tamararallen.com. 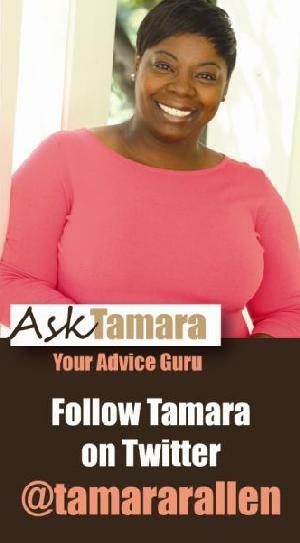 You can follow Tamara on twitter @tamararallen or check out her daily column and archives at www.tamararallen.com. tempting as it may be, I wouldn’t do it…epic fail!!! Neither would I…not at my actual place of employment. Comparable to friends becoming roommates to me. I recommended a friend once for a gig who ultimately got fired. There was a lot of stuff going on and a work colleague and I tried to school her and help her address criticism that was leveled at her to no avail. Now, this particular friend lists me a work reference. I keep asking her what she wants me tell these folks as I actually didn’t work with her interact with her on the job and am not willing to lie for her. I don’t have a problem referring folks for a job. But, NOW, I won’t refer a person unless I know from personal experience how the person performs on the job. Not willing to jeopardize my credibility or reputation — been there and done that.